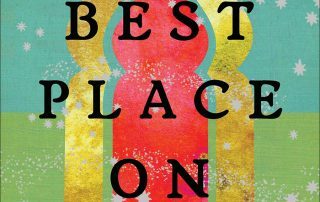 In advance of author Ayelet Tsabari's upcoming visit to the UW, undergrads are invited to discuss Tsabari's 2013 novel, "The Best Place on Earth," with Professor Sasha Senderovich. 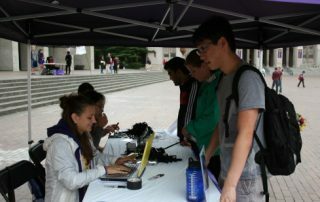 Come find the Stroum Center for Jewish Studies on Red Square during the Student Activities Fair during Dawg Daze. Grab a free Stroum Center tote bag and stay a while to chat! 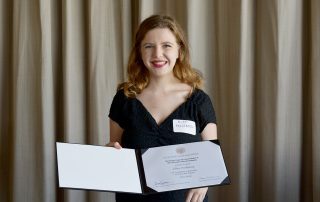 Ellen Perleberg, a first-year linguistics student at the UW, was recently awarded the Stroum Center for Jewish Studies and Holocaust Center for Humanity Excellence in Scholarship Prize. 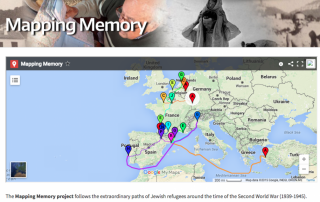 UW Hebrew students celebrated the 2017-18 year with food, games, and thoughts on learning the language. 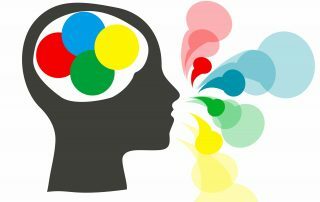 A bio major asks: Why study a language? 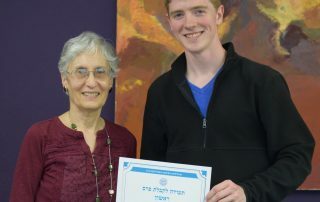 Biology major and Opportunity Grant winner Michael Peterson encourages you to study a language. 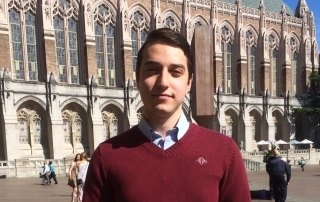 Shawn Laramie '16 took Introduction to Judaism at UW as a way to explore his heritage, and found connection in many other ways.